!!! Deadline Registration: February 1, 2019 !!! Deadline Registration: February 1, 2019 !!! US$ 2300 per person (based on double occupancy) for those registering and paying deposit before February 1, 2019. The fee includes accommodation, motor coach transportation, breakfast and dinner buffets, 1-2 liters of bottled water daily, teaching and guide fees, all taxes, tips, site entrance fees, and materials including Travel the Text Study Guide, luggage tags, passport holder, and sport bag for carrying daily necessities on site. Does not include airfare, lunches, personal snacks or souvenirs. 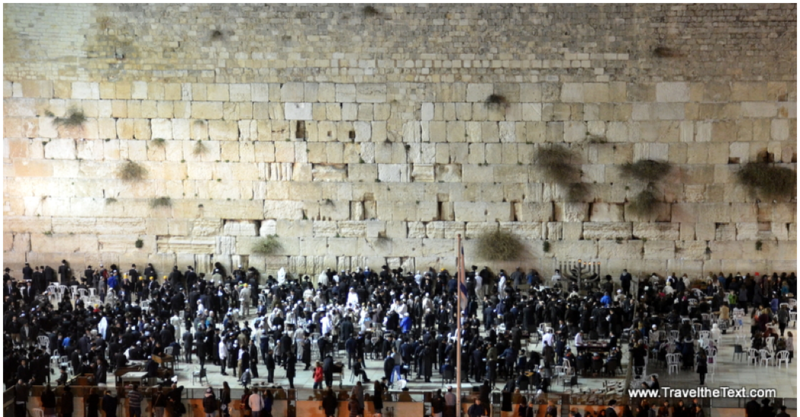 Why do a Biblical Study Trip to Israel? Upon your arrival in the international airport in Tel Aviv you will be met by Geoff Carroll and your bus driver for the trip. We will transfer to the Manger Square Hotel in Bethlehem. 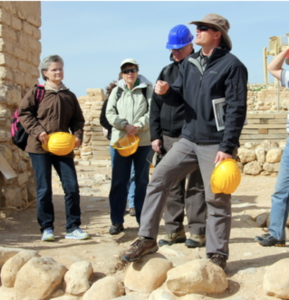 We begin our study at one of the most impressive sites in the land – Machpelah. This intact first-century structure marks the land where Abraham purchased a burial cave for Sarah. From there we will learn about the battles for the Shephelah, or foothills, as we travel to the lands of Sampson at Beth Shemesh, the Valley of Elah where David slew Goliath, Maresha, an underground labyrinth of caves and dwellings, and finally, Lachish, the last stronghold before the Assyrian attack on Jerusalem. Dinner and overnight in Bethlehem. Today we head south to experience the wilderness, stopping along the way for lessons in an ancient vineyard. We will visit sites such as Tel Arad, a strategic wilderness fort, and the Wilderness of Tzin in the region where the Israelites stayed during their 40 years in the wilderness. Dinner and overnight in Bethlehem. We begin our day traveling the ancient road Abraham took to Mt. Moriah for a panoramic view of Jerusalem at the Promenade. We will discover ancient Jerusalem at the City of David and explore the ancient underground waterway known as Hezekiah’s Tunnel (optional). Additional sites include the Shiloach (Siloam) Pool and the Israel Museum. Dinner and our final night in Bethlehem. The first few days brought us into contact with many characters and places in the Hebrew Bible but today we shift our focus to the time of Jesus. We will visit many sites including the Church of the Nativity in Bethlehem and a beautiful fortress built by Herod the Great called the Herodian. We will transfer from Jerusalem to Galilee today, stopping along the way at a sheep fold, the ancient city of Ephraim, and (time permitting) Jacob’s Well. We will stay the next several nights at a tranquil location on the Sea of Galilee at a Kibbutz Holiday Village. Dinner and overnight in Galilee. Jesus called many of His disciples around the Sea of Galilee, and we begin our day from Mt. Arbel for a beautiful panoramic view of the region. 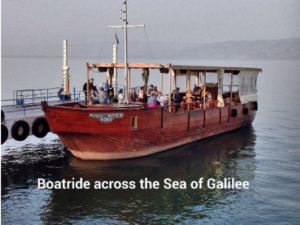 We will focus on the northern shore, stopping at places like Migdal, the home of Mary Magdalene, Tabgha where Jesus called Peter, Andrew, James, and John, the Church of the Beatitudes, Capernaum, Jesus’ home-base for His ministry, and end our day with a boat ride across the Sea of Galilee. Dinner and overnight in Galilee. Jesus preached that the Kingdom of Heaven was near, and He sent His disciples into a world that did not want it. 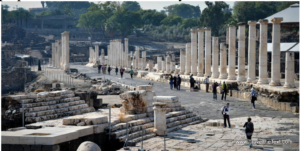 Our focus today will take us to places like Beth Shan, one of the richest and most powerful cities in the time of Jesus, Megiddo, also known as Armageddon, and Mt. Carmel, where Elijah and the prophets of Baal held a contest by fire. Dinner and final night in Galilee. Sunday, September 8: Kingdoms Collide – Who Is Your King? Today our focus is in the Upper Galilee. We will visit sites such as Gamla with its first-century synagogue, Dan, where beautiful springs turned people toward false gods, and Caesarea Philippi (Gates of Hades). Dinner and overnight in Galilee. Monday, September 9: Who Is My Neighbor? After Jesus prepared His disciples, it was time to return to Jerusalem. We will begin our day with a boat ride on the Sea of Galilee before we make our way to the Nazareth Ridge, where Jesus grew up, Caesarea Maritima, a beautiful harbor city built by Herod the Great, and a teaching along the ancient Road to Jericho. Dinner and overnight in the Judean wilderness at the Jericho Oasis Hotel. 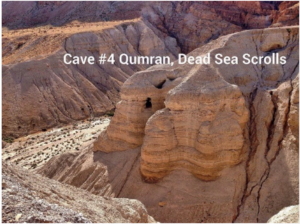 Today we travel to Qumran, linked to the Dead Sea Scrolls, En Gedi, an oasis of waterfalls in the desert where David hid from Saul, and the fortress of Masada, where Zealots died in rebellion against the Romans, before floating in the Dead Sea. Dinner and overnight in Jericho. Jesus makes His way up to Jerusalem where He will be put to death. We will begin our day early on the Temple Mount and travel to places such as the Pools of Bethesda where Jesus healed a crippled man, Bethpage, where Jesus talked about mountain-moving faith, the Mt. of Olives, Garden of Gethsemane, the Hidden Gate, and the Church of the Holy Sepulchre, the traditional place of Jesus’ death, burial and resurrection. Dinner and overnight in Jericho. We begin our last day on the banks of the Jordan River, the traditional location of Jesus’ baptism. We then will visit Bethany, where Jesus raised Lazarus from the dead, the Old City, the Western Wall, and the Southern Steps. We will finish strong with a cultural “last supper” before transferring to the airport.